"Casa San Carlos" in San Carlos, Ibiza, sleeps 8 people. Casa San Carlos is a holiday villa to north of the island, and is perfect for a family holiday. Casa San Carlos sleeps 8 people in 4 bedrooms - 2 double bedrooms and 2 twin bedrooms. The living room has a TV and a fireplace. With a dining room which also has a TV. The kitchen has a cooker, microwave, fridge/freezer, washing machine, dish washer, and a coffee machine. Casa San Carlos also comes with Wi-Fi. Outside you have a private swimming pool set into a paved area in the rear garden. There is also a covered terrace with sofas, and a barbeque. There is a Spar supermarket 350 metres from Casa San Carlos, with the bar & restaurant being just under 2 kilometres. The beach at Aguas Blancas is 7 kilometres from Casa San Carlos. Ibiza Airport is a 30 kilometre drive to Casa San Carlos. Ibiza is the bottom, geographically speaking, of the three Balearic islands. Located just off the Spanish mainlandm and sitting in the Mediterreanan Sea, Ibiza has some groovy beaches, beautiful secluded bays, and some impressive sun scorched countryside. 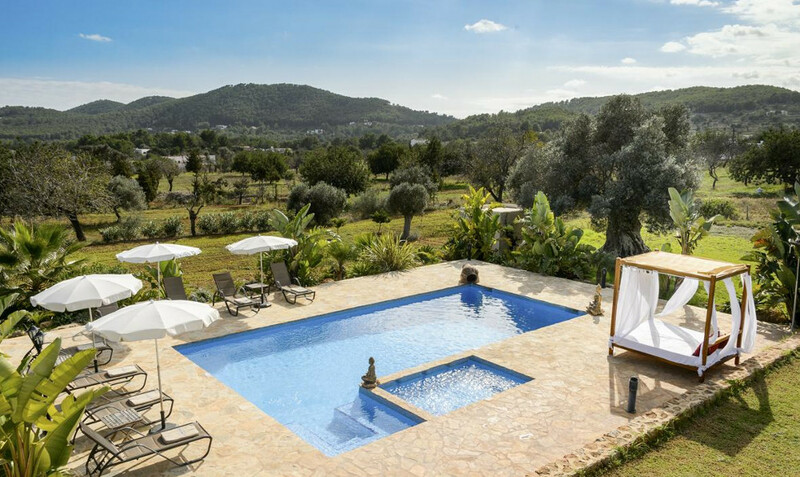 Casa San Carlos is indeed in Ibiza, specifically in the San Carlos, region; and well worth a look. if Casa San Carlos doesn't suit your needs, there's plenty more villas to choose from on this this little island. Just have a look at the other villas on Ibiza. If you're looking at the other two Balearic Islands - the other two are Majorca, which is the biggest of the three, and is situated a little to the north of Ibiza. And Menorca, which is the most northerly of the Balearic Islands.